This portable card reader is useful when you need to capture credit card or magnetic data on the go. Please note that the device must be plugged into a laptop or computer to be used, it does not store information internally. This palm size mini magnetic stripe card reader, PMR-410-UT, is ideal for point of sale appications, trade shows and conferences. It can be used to collect credit card information, attendee's registration information which was stored on the magnetic stripe. Using the latest 3-track technology, this device is able to read various magnetic stripes, including the one on the driver's license, student ID, membership card, hotel key card, security card etc. This device comes with an easy to use USB interface. This reader is bi-directional with built-in buzzer to confirm a successful read (a single beep) or an unsuccessful read (two beeps). The bundled software allows you to setup and download the parameters to the card reader quick and easy (see the screens on the right). 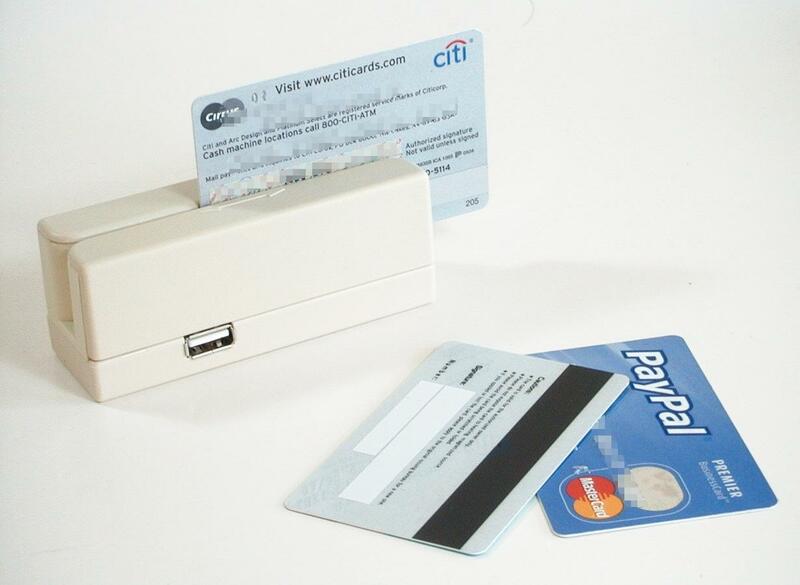 * Compact 3-track magnetic stripe card reader with USB output. * Built-in microprocessor and advanced magnetic card reading technology, which is compatible with PCs and other terminal equipments. * The product can be easily applied in the following areas: offices, computer rooms, banks, buildings, hospitals, schools, factories etc. * Medium format: 300 O.E. ~ 4000 O.E.